Juan and I met Prideful Sloth at PAX East and got hands on with Yonder. 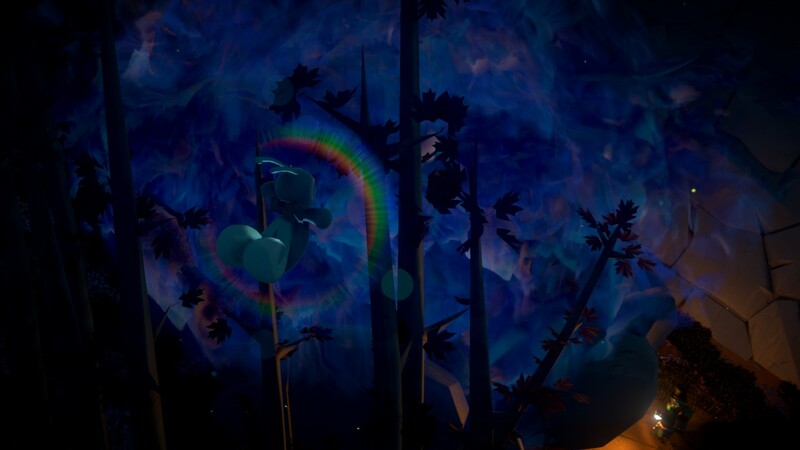 Before we even got to play it, we instantly we fell in love with Yonder’s artistic profile. The demo was such a tease, but it did its job. Yonder has been on our mind for months, and now we finally get to play it! 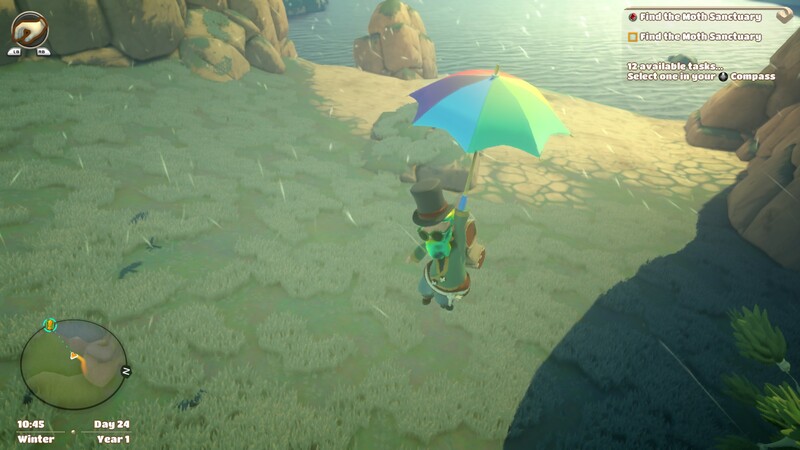 Yonder takes inspiration from many games like The Legend of Zelda, Harvest Moon, and Animal Crossing. But it has enough twists to make it feel different enough that it still feels new. From the moment you wake from the crash and discover the lost island of Gemea you’re instantly hit with a treat. The scenery around you from the animals, trees, grass and everything in the surrounding area felt alive. If I were to shut off my game, I’d feel like things were still getting done in the world. The first animal I saw upon exiting a cave was the Groffle. There was a massive herd of them hanging out in front of a village. I thought to myself ‘maybe I should avoid them, they’re big and I wouldn’t be able to take them out’. I forgot that Yonder has no combat. That’s right zero combat! While on the topic, there’s no experience gain, and no currency either! Each item has a dollar value, but goods are traded between towns, not purchased. We like this. The focus wasn’t “How can I defeat X” or “How can I buy Y”. Instead it was “How can I get Z?”. 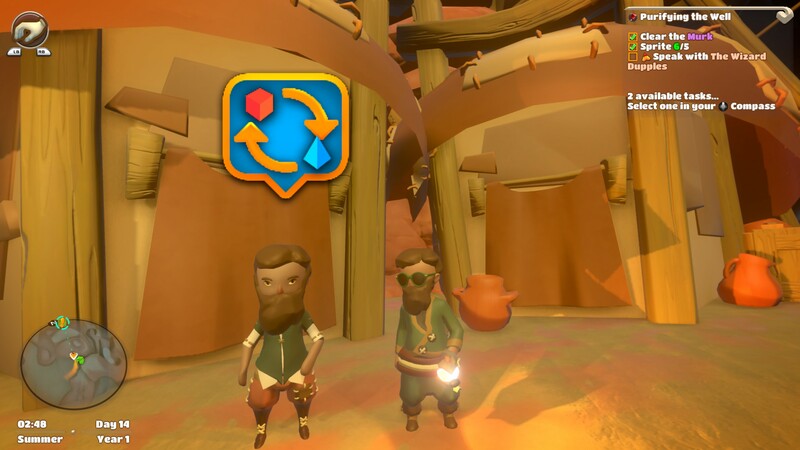 Yonder is about finding and trading goods throughout your journey to get better materials. Or crafting in order to raise the value of some junk, and reselling it for more. Quests were simple but challenging at times. It mostly involved finding a certain number of items and bringing them back to the NPC. Other quests are about crafting items of higher values and using them as gifts. One of the quests asked for you to go fishing for a specific fish that only appears at a certain time. Another asked you to hunt down escaped farm animals. 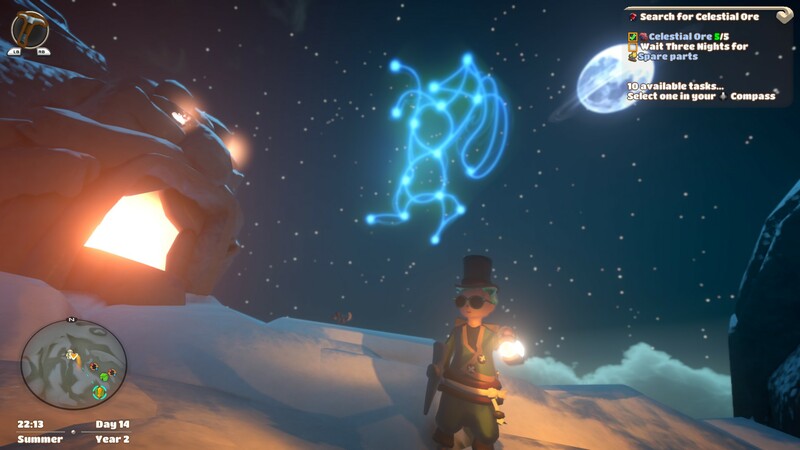 Yonder continues to differ from other games because from the get-go, almost everything is accessible. By exploring everything, you’ll find cute sprites all around the world. These sprites are used to unlock areas and clean up the Murk. Murk has taken over the world of Gemea and preventing its economy from booming because no one knows how to clear it. This is your only “enemy” in Yonder, but it is set in a way to make sure you hit certain points throughout the game to be able to proceed. I didn’t see it as a restriction, instead I took this as I need to look harder for other things in this town because I clearly overlooked something. 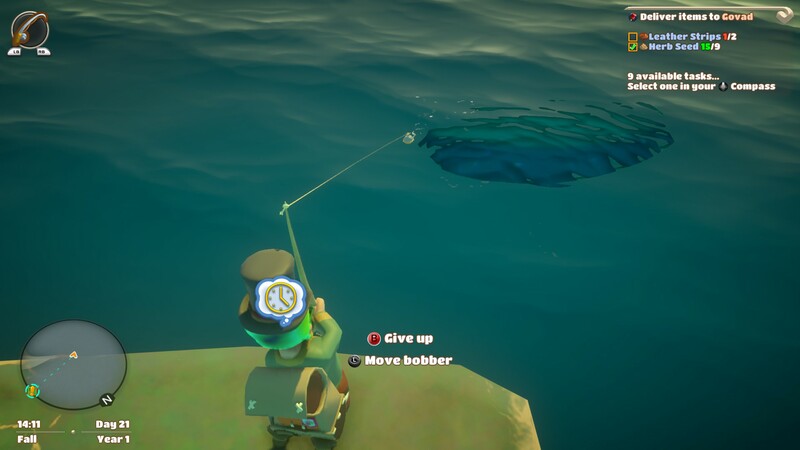 Fishing was the best mini-game available. It’s pretty much the same style as Animal Crossing. Move the bob towards the silhouette of the fish and then hold the direction away from where the fish is swimming in order to catch it. There were many uses for the fish, they all had high trade values which rendered collecting rocks useless (unless crafting) but you have enough fish to trade for it anyway! The other reason was to gain love from the townsfolk. Almost every NPC had the option to be hired as a farmhand for any of the farms you owned. To win them over you had to provide them with food. Giving them mushrooms would cause their love to only go up five percent. But giving them fish increased their love by thirty percent or more. Fish were easy to catch so this was definitely the easiest option. Animals are adorable! When you find your first Fabbit, you can’t help but want to squish one! The Fluff Cub? Forget it! I want to pet them! 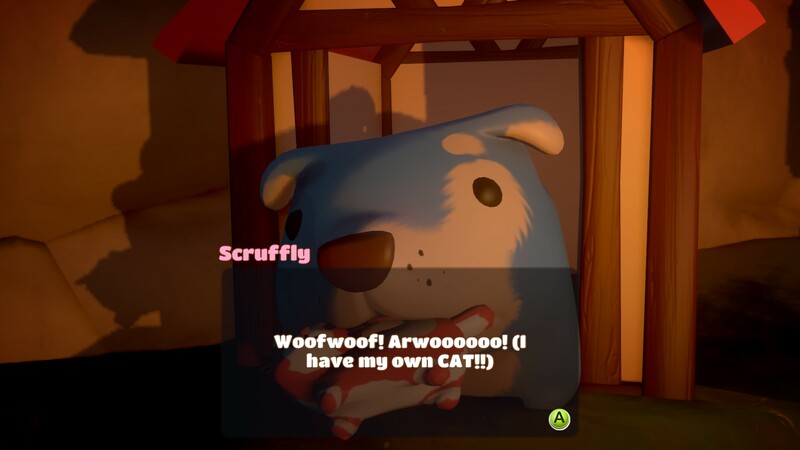 All of the animals in the game are strange mixes of other animals, but it works and they are awesome. The fact that some animals come out only during certain seasons was a great addition because it made this journey feel real. It gave you a sense of time as seasons changed, and that felt amazing each time you had to revisit certain areas. Cosmetics were plentiful. Almost every chest had dyes to change your hair color, and there were also many items for sale in the towns which changed your look. New beard? New Hairdo? Add some glasses or maybe a top hat? Many types of clothing and back packs to keep you busy. Main quest line was short. There are plenty of side quests to keep you busy, but they felt repetitive. Main quests are the most interesting quests, so the focus always went there. Crafting was a pain. Each town specializes in a certain type of crafting. Near the coast are cooks. Cooks will obviously cook things, but they need oil in order to cook. Vendors, and only vendors have oil. Every crafting class requires an item that can only be obtained by bartering. The idea behind this is to travel to a different town and find goods from them. The issue here, traveling. Despite the beautiful day and night cycles, walking from one part of town to the next became annoying because it is so slow. “Sages” allow you to teleport from town to town. Each Sage asks for a quest in order to be able to teleport. But even getting to each Sage was a pain. Their placement was away from the town enough to force you to walk to the towns anyway. Knowing which sage was which became an issue too, the map doesn’t help much. There are subtle hints on each to help you, but countless times I found myself getting into the wrong one. Inventory storage. For a game that has me trading goods from town to town and crafting all sorts of items. There were zero upgrades for inventory. Once you got to the town which allowed you to craft clothing, I figured I would get a new bag in order to upgrade my storage. I crafted a bag and got absolutely nothing but a new bag to look at. Great. Let me over pay this trader for some items just to get these out of my inventory. All of the cosmetic items like dyes kept taking up space. What if I wanted to keep them for another time? The game basically forced us to use one after the other, or get rid of it. Managing your farms. Throughout the game, you’re given the option to build farms and craft stables and huts to befriend animals found throughout your journey. Each animal that’s found provides goods. Groffles provide milk. With milk and a Cheese Maker, you’ll get cheese. The values of each raised substantially which made it possible to trade and get a bunch of items for just one item. Ideally, this would be amazing but going back to the storage issue, it wasn’t always the best deal. This aspect of the game was lost in our playthrough as fish alone were enough to pay for what we needed. We built two farms and decorated one just to see what it was all about. We went the entire game without the need to really use any of the items that the farm was producing for us. Although we enjoyed the idea, it was just something extra that felt unnecessary. We loved Yonder. It’s not perfect and there are some gripes as described above. The story was decent but felt rushed as the main story line was short. After learning the real story, you’re left wondering really? That’s it? All of this work to find out what you already suspected? I’m avoiding spoilers here but after you play it you’ll know what I mean. All of that aside, there are many amazing visuals to discover, the main quests send you throughout this world discovering new towns which always feels rewarding. Each time you learn to craft something, you’re rewarded with a patch you could put on your bag and mastering a craft gave you a new badge. Seeing your character with those patches on their bag felt amazing. Each one has its own story behind it, and that’s the beauty of the game. Every experience will be different based on your playstyle. 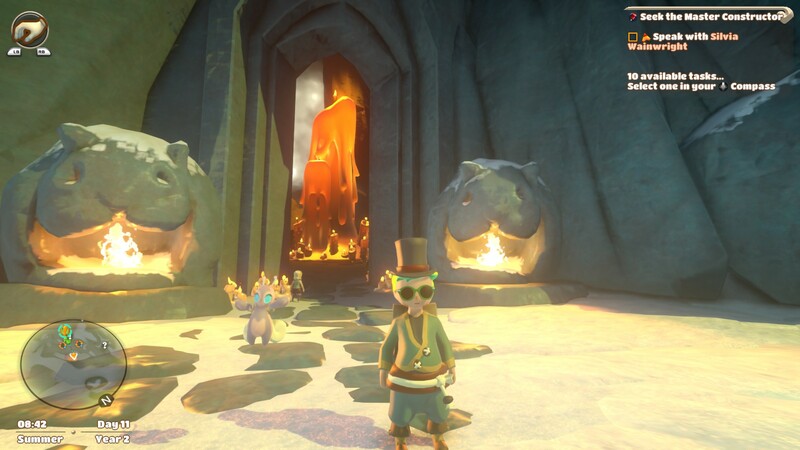 Get Yonder: The Cloud Catcher Chronicles now available on Steam and PS4. 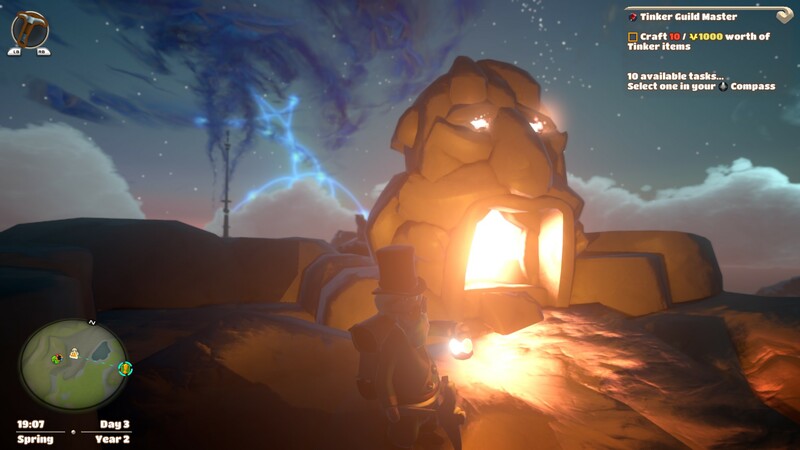 Prideful Sloth provided us with a pre-release Steam key in order to review Yonder: The Cloud Catcher Chronicles. Additional information on how DownRightUpLeft handles reviews can be found here.